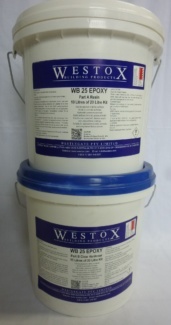 Two part clear water based epoxy. Used as a primer, binder, sealer and in concrete repair mortars. Concrete Repair one part cement, three parts sand to one part WB25 by volume. Available in 4Lt Kit (2x 2Lt) & 20Lt Kit (2 x 10Lt).